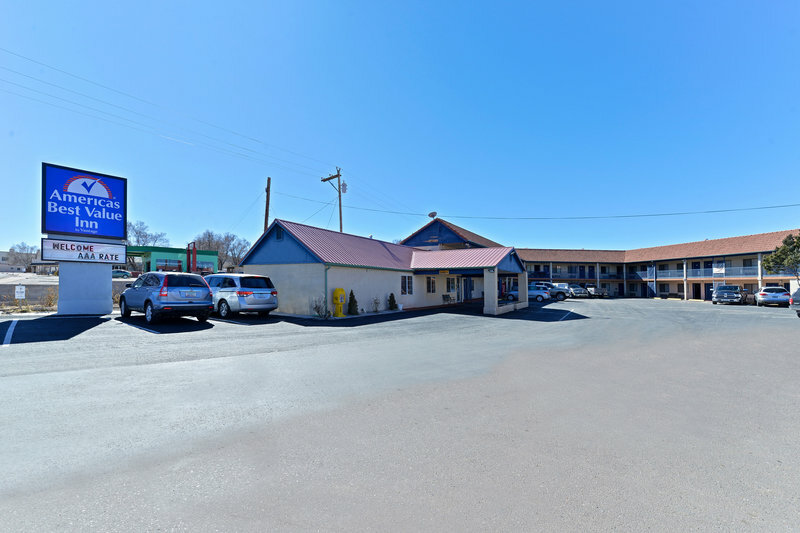 Check Rates & Availability at Americas Best Value Inn Springerville! Nestled on the edge of the majestic Apache National Forest and the foothills of the picturesque White Mountains- Americas Best Value Inn is ideally situated. Proudly offering value and amenities such as complimentary hi-speed Internet access- satellite television with 125 channels including premium movie- sports and news channels- and complimentary continental breakfast for your enjoyment.Unwind in our over-sized and newly renovated guest rooms. Snuggle up by the fireplace in our jacuzzi suite during the winter. All guest rooms are equipped with microwave- refrigerator- and hairdryer for your convenience. We are pleased to be an eco-friendly hotel employing such practices as using energy efficient lighting controls and lightbulbs-water efficient bathroom fixtures-towel reuse program-composting of waste and donating leftover materials. Pets are allowed/ charges and restrictions apply... Experience all of Arizonas four seasons of outdoor activities including golf- hiking- camping- horseback riding- mountain biking and snow skiing. Fishing enthusiasts will enjoy Big Lake Recreation Area and Lyman Lake State Park. Explore Native American history at Casa Malpais Archaeological Museum. Nature lovers will delight in bird watching- the abundant wildlife and the panoramic drive through The Coronado Trail Scenic Byway. Come visit and experience for yourself the adventure. Our courteous staff looks forward to your stay. Property is located on West Main Street- just off Highway 60.